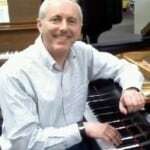 Mark has been in the piano tuning and maintenance business since 1982. 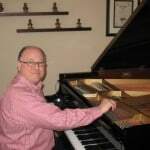 Mark is a college trained professional who has also completed rigorous training at Steinway & Sons in New York. Having tuned a countless number of pianos in schools, churches, homes and professional venues, Mark is highly qualified to meet the most discerning clients’ wishes. As Lorie Line’s piano tuner, Mark prepared Lorie’s pianos for both concerts and recordings. Mark is also an integral part in the Steinway Rebuild Program at one of the nations foremost Steinway dealerships: The Schmitt Music Company. He is responsible for the “action” and “damper” rebuilding which dictates how the piano plays and sounds. As an independent warranty technician for Schmitt Music, Mark has decades of experience maintaining and servicing clients’ pianos. His experience ranges from entry level pianos to priceless Steinways. As a former Suzuki Piano Instructor, Mark understands the importance of meeting a child’s specific piano needs. 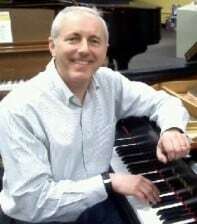 Simon is a fully qualified piano technician from the UK with over 15,000 piano tunings under his belt. He has extensive piano experience from working with small spinet pianos to leading the team that rebuilt the Steinway B for the Governor’s Mansion in St. Paul. He is a fully qualified PianoDisc technician and installer. Simon moved to the US in late 1997 after attending a 3 year degree course at Newark Technical College in the UK, gaining certifications from the Piano School there. 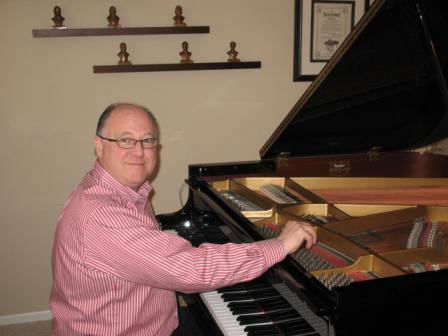 Once in the USA, he has worked extensively for one of the largest piano dealerships in the USA, Schmitt Music, both as an independent piano tuner technician as well as serving for a while as Technical Service Manger.